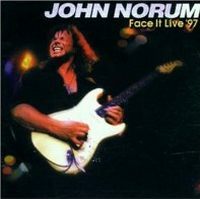 John Norum - it takes a moment to know where you have heard the name. Let me help you out, John Norum was in bands like Europe and Dokken as a guitarist. On his solo albums Mr. Norum shows not just his abilities as a guitarist, he presents himself as a decent singer and song writer. His debut Total Control was released a few years ago and now his latest release Slipped Into Tomorrow is out. But we won't talk about this one know, let's travel back in time. 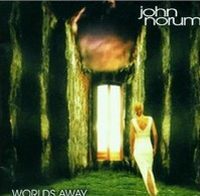 Back in 1997 when John Norum released his album World's Away and after the release he toured in Japan where the live album Face It Live '97 was recorded. Both CDs never been released all over Europe and so this kind of re-release is for the fans and shows both sides of Mr. Norum. On one CD the studio musician who works concentrated and precise on compositions and recorded this compositions for the world of rock music. The other CD shows the charismatic and impulsive musician on stage. His hit Let Me Love You from the debut album he celebrated live and the Japanese audience went crazy. On the studio record are 11 tracks while the live album offers 16 live tracks and on both albums he presents rock with the right attitude, catchy hooks and great guitars of a passionate musician. A very few times the guitar is a little to much in front, to dominant, but nevertheless these are CDs which are worth spending time to listen to again and again. Check it out!! !